With almost 38 million people residing in California, traffic can get a little hectic. Anyone who has had the misfortune of experiencing rush hour traffic on the 405 knows that driving isn’t exactly the privilege the DMV would have you think. But a new bill signed by California Governor Jerry Brown could lead to less congested highways — and hopefully by extension less road rage. 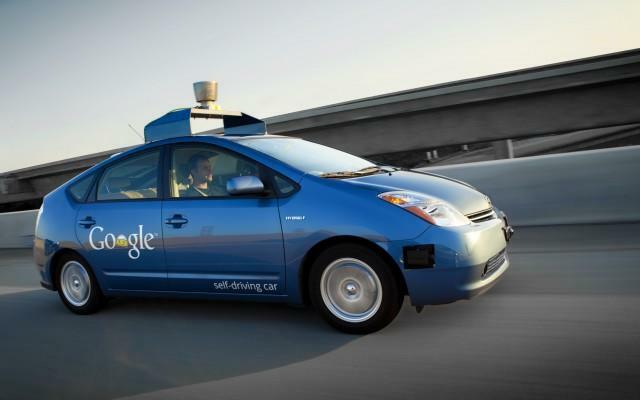 By putting into effect SB1298, Governor Brown has made self-driving cars legal in California. You know, ones like this. If the promise of Google’s technology winds up matching our utopian ideals, this could be a step toward changing the entire transportation industry forever. But it’ll also help with California’s terrible traffic problem. Brin claims a self-driving car can “chain together and use the highway more efficiently, potentially eradicating congestion.” Google’s technology is designed to get folks from Point A to Point B, eliminating the human element in the process: speeding, aggressive driving, errors in judgement, etc. By passing SB1298, Google has more freedom to test its tech on the scenic California coast, and in the process account for every possible road anomaly imaginable. “This law will allow California pioneering engineers to safely test and implement this amazing new technology,” Brown said. Adding to that, California Senator Alex Padilla said autonomous vehicles could potentially save lives. That alone is worth investigating self-driving cars to their fullest potential. Who knows, maybe in five years’ time the first car with Google’s tech will roll off the assembly line.